When you need to find a Lauderhill Motorcycle Accident Attorney you can trust, call the Law Offices of Robert E. Gluck, P.A. 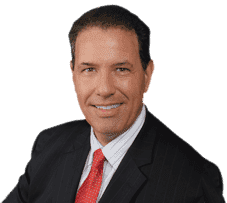 Robert Gluck has been providing legal representation and guidance to clients throughout South Florida since becoming a lawyer in 1989. Over the years, he has built a stellar reputation in the area and will provide you with the service you need in your motorcycle accident case. When you hire Robert Gluck as your Lauderhill Motorcycle Accident Attorney, he will begin by proving negligence existed and that's what caused your accident. Negligence is the legal standard a reasonable person must follow in order to avoid injury to others. If someone falls below that standard, they may be held financially responsible for the injuries you've sustained in your accident. Lauderhill Motorcycle Accident Attorney Robert Gluck will begin looking into your claim by launching a thorough investigation into your accident. He will locate and speak with witnesses to get their statements, take photographs of the accident scene, assess any property damage, secure video surveillance, and obtain any other evidence he believes he will need to build a strong case for you. Robert Gluck is a Lauderhill Motorcycle Accident Attorney that will fight hard for you and make sure you are treated fairly. He will go above and beyond for you to make sure you receive the financial compensation you deserve. We understand how difficult this time in your life can be. We will be there for you every step of the way and ensure your rights are protected the entire time.